A historic honour for Brad Hildenbrandt along with a trio of individual gold medals were the highlights in a strong performance for the University of the Fraser Valley wrestling program this weekend, as it played host to the Canada West Championships. 🏔🤼‍♀️🤼‍♂️ WRES RECAP | A major award & 11 medals for Cascades at @CanadaWest Championships! Hildenbrandt, the Cascades’ fourth-year captain from Surrey, B.C., not only claimed his third consecutive heavyweight (120 kg) men’s title at the conference championship tournament, he took home the Canada West men’s wrestler of the year award. It’s the first time a UFV athlete has won the prize, which is voted on by the head coaches. Hildenbrandt won his first match of the weekend via pin, and his next two by technical superiority on his way to a memorable awards haul. Ana Godinez Gonzalez joined Hildenbrandt as the owner of multiple Canada West gold medals – she defended her title in the women’s 63 kg category. The reigning conference rookie of the year was never seriously threatened – she did not surrender a single point over the course of the championship, winning all three matches via tech in a highly impressive performance. While Hildenbrandt and Godinez Gonzalez’s golds were widely anticipated, De’Andre Williams joining them atop the podium was more of a surprise. Williams had won CW silver and finished sixth at U SPORTS nationals last year – at 76 kg. But with an influx of new recruits into the UFV squad this season, he had to drop down two weight classes to 68 kg in order find a spot on the active roster. Heading into the conference championships, he was not among the top six in the national individual rankings, but he won all three of his matches on the weekend to earn the gold. The Cascades would claim eight other individual medals. On the women’s side, a hard-fought 6-4 loss to Calgary’s Tianna Kennett in her opener was all that stood between UFV’s Amber Wiebe and a gold medal at 55 kg; she bounced back to win her next two matches and pick up silver. Calista Espinosa matched that result in the women’s 48 kg. On the men’s side, silver medals went to Simren Brar (54 kg), Parker McBride (57 kg), Karan Dhillon (82 kg) and Sunny Benning (90 kg). Ali Rahguzar (61 kg) and Amarvir Atwal (72 kg) each won bronze. Jason Bains, considered a gold medal threat at 100 kg, had to exit the tournament early after suffering an injury in his opening match. 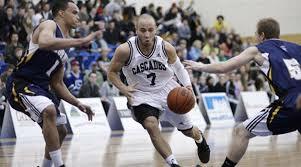 The Cascades men finished third in the team standings, amassing 33 points to finish just behind the Alberta Golden Bears (41) and Saskatchewan Huskies (40). The Calgary Dinos (20) were fourth. The women’s team competition was dominated by Saskatchewan, which racked up 33 points to outdistance Alberta (25), Calgary (22) and the Cascades (14). The weekend event marked the first time UFV had hosted a Canada West championship in any sport, and Anaka lauded the hard work of athletes to make the most of this opportunity to compete at home. The Cascades’ individual medalists advance to the U SPORTS national championships, Feb. 22-23 at the University of Calgary. Congratulations to the 2019 CW Major Award winners!! 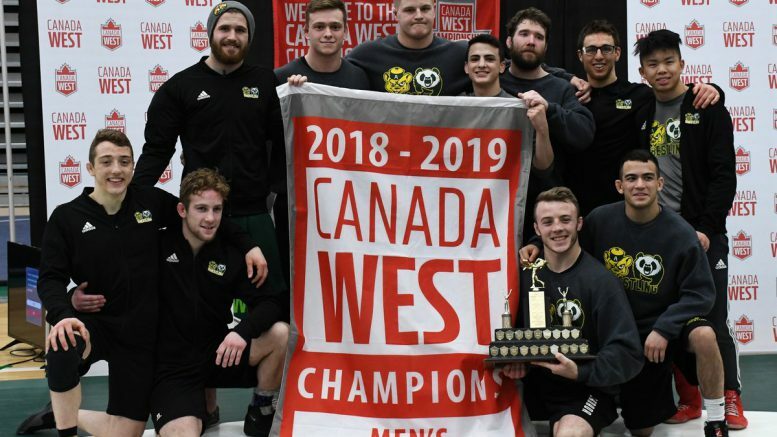 Be the first to comment on "UFV Sports Saturday – Canada West Wrestling Gold"